Farming has been in my family for generations. I absolutely loved growing up on the farm. 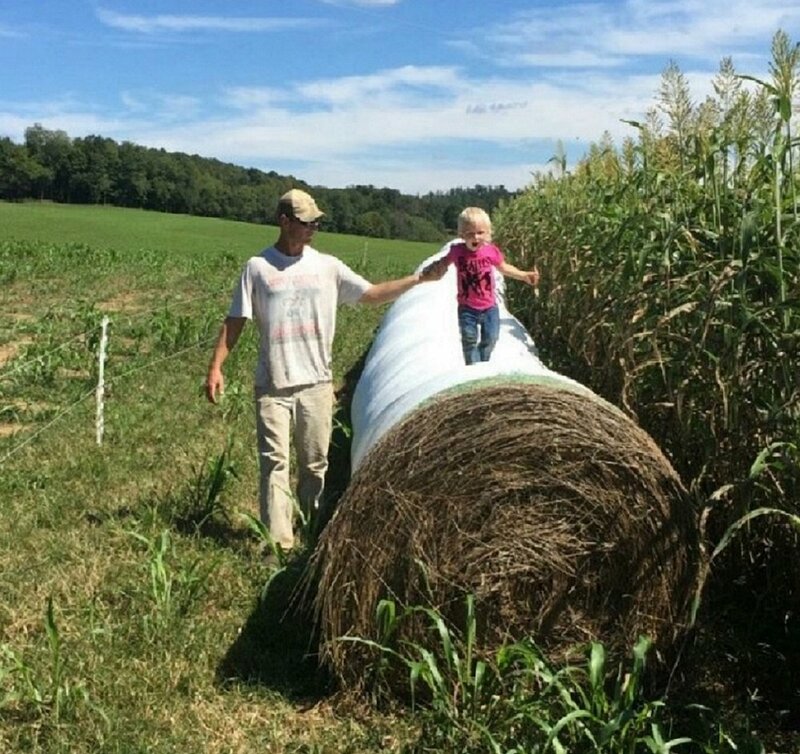 Although I knew farming would always be a part of my life and my future, I really didn't think farming full-time would be an option. What career would go with farming? How could I make a living and farm too? Farming full-time was just a dream. After graduating from Carson-Newman University, where I met my wife Amy (and Collin and Melissa), I came back home to milk cows for a local dairy farm. 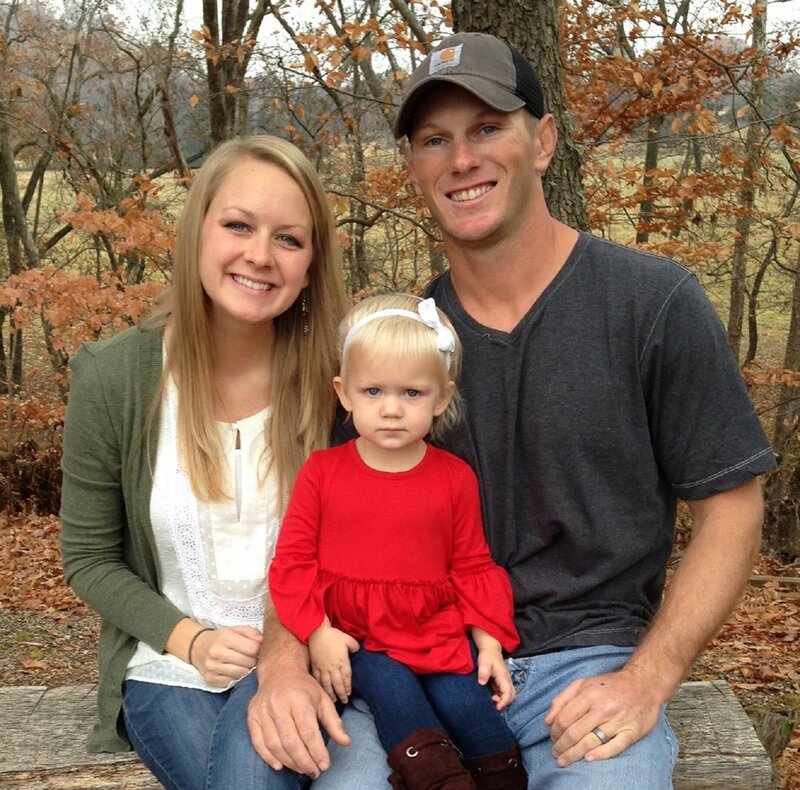 Amy grew up in Knoxville, Tennessee with no farming background or experience. While we were dating, she would come see me in Virginia and help milk cows at 3:00 a.m. Even though she tried to milk a bull one time, she was anxious to learn and willing to work. I knew she was the one. 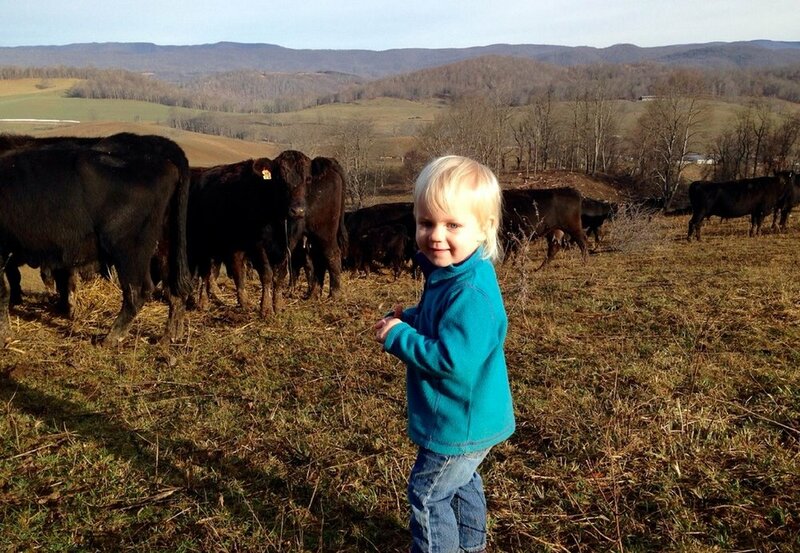 While working at the dairy farm, I was also trying to establish and grow my own beef cattle herd. Then God opened a door for our family and gave us an opportunity we couldn't pass up. Although this wonderful opportunity involved going into debt up to our eyebrows, we jumped in headfirst. Though we had no idea where that road would lead us (and still don't), we are blessed to have an opportunity at this way of life. To live more like our grandparents did. 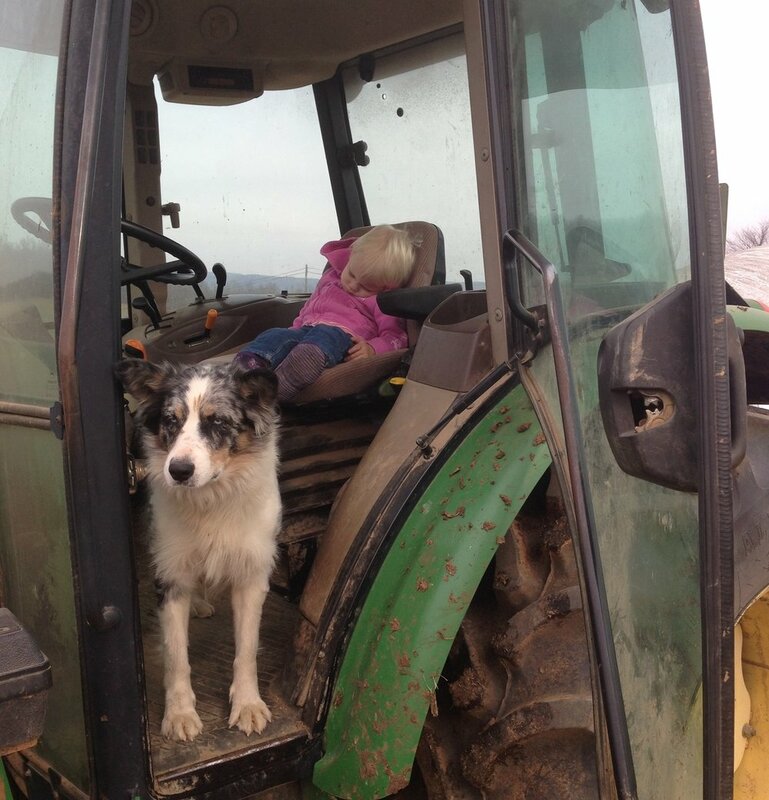 To raise our children with the work ethic and gratitude that the farm instills. To know what we are eating and where it comes from. To know our food is raised with integrity. We are blessed. We are not perfect farmers and certainly don't claim to know all the answers, but we are doing the best we can. We are always looking for ways to improve our farm, not necessarily by doing what is easier or more convenient, but by implementing pasture-based management systems in a way that improves the land, improves the life of the animals, and improves the quality of food for our families and our neighbors. I love the challenge and hard work that farming offers. Taking care of land, soil, and animals that leads to producing nutritional food is a passion that motivates me to think about creative and responsible ways to grow and raise food. Will Campbell and I met my Sophomore year at Carson Newman University and we became instant life long friends. Melissa and I started dating our Senior year and it didn't take long to know it was meant to be. We both share passions about getting to the roots of life and escaping the meaningless noise that distracts us from what is truly important. My wife Melissa grew up in Ohio with cows and goats and shares my vision for sustainable farming. She remembers her family getting a steer butchered in the fall and then going down to the basement with half her body hanging in the deep chest freezer looking for the specific cut of meat her Mom wanted to cook that night and having competitions to see who could get their T-bone the cleanest, of which her dad is the ultimate champ. She also remembers riding her bike down the road to the "egg lady" and then the challenge to ride back without breaking any eggs. She also loves gardening and the beauty of growing vegetables. 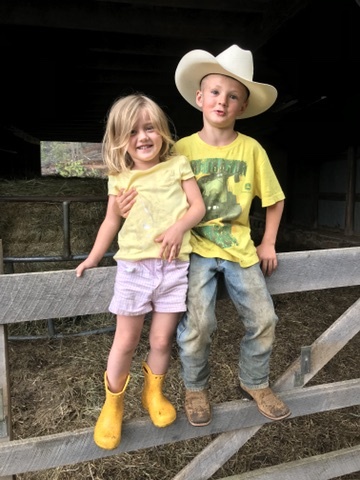 We are both committed to raising our children on the farm and learning with them about responsible ways to nurture both land and animal through a pasture-based management system. 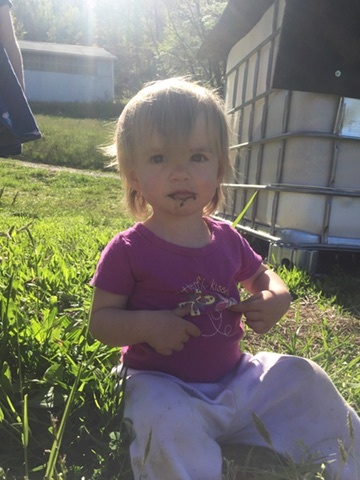 We want our children to have the opportunity to know their food and have a hand in raising and growing it. Food is plentiful in our country but the majority of it is destroying our national treasures...our people, our top soil, and our family farms. Under the guidance of Joel Salatin of Polyface Farms Inc., we are doing our best to reverse the trend and connect our community to the food. We are blessed!